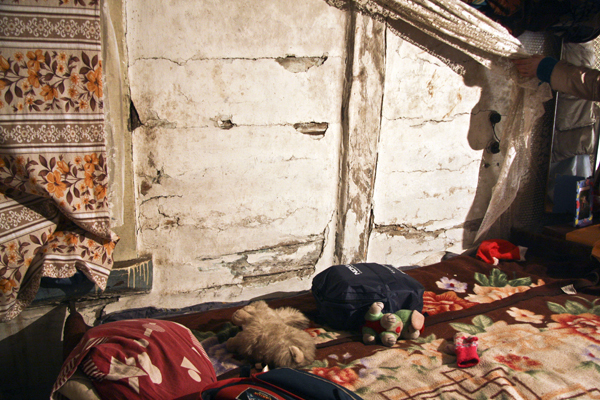 This is the children’s sleeping place, an old sofa leaning towards the cold wall. 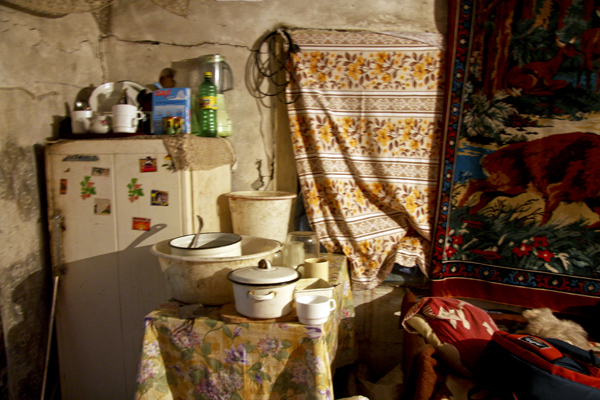 This family lives in a shack. Mother with two children. 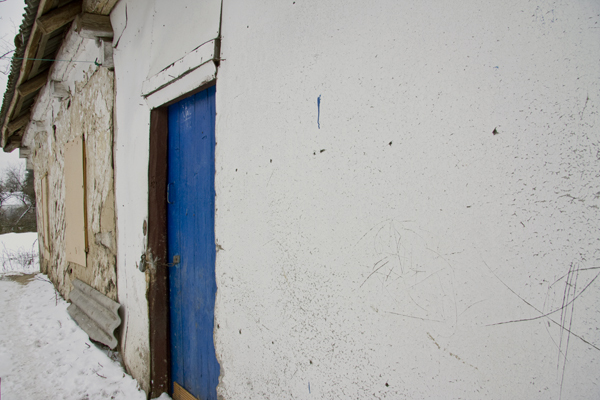 The shack has dirt floor, several holes in the walls…It is winter, it is cold. 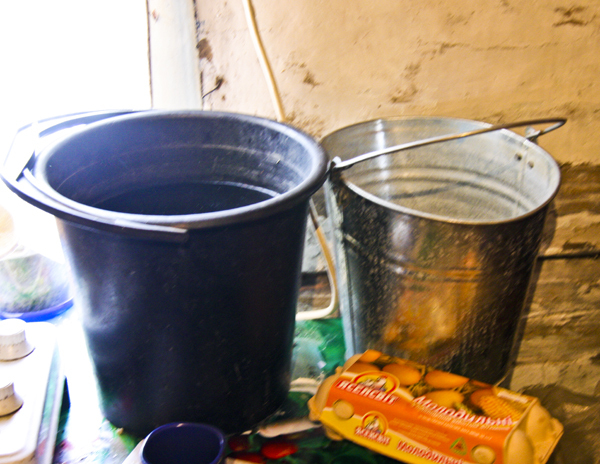 It is so cold inside that the water in the buckets is frozen. Mother’s boyfriend broke the windows for he was not let in. He turns very violent when intoxicated. Last week he killed a dog right in front of the children. Often the mother, with her children, must seek shelter in the middle of the night. The children are only 4 and 5. The mother is an orphan herself. She is all alone. The children are hungry. This is difficult to believe had one not gone through it personally. Everything centers around food, nothing else matters. Rats, not mice, inhibit this shack as well. Last week they killed the children’s cat by chewing it to death. The cold stiffens, fear paralyzes and hunger etches. This is the everyday life for the mother and her two children, it has become part of our life as well. The reason for us to be here is to help. We just received the good news that Nordisk Östmission continues their “Mother- Child” -project. That in part enables those two children to visit our Haveri home on daily bases. Now, they too, have Haveri -friends, two meals a day, can use the shower every day and be dressed in clean, warm clothes. Thank You for helping these families and children. I cannot always find the words to emphasize enough the importance of your help. The above is a true story. It is shocking, but I wanted to share this for it is the kind of reality we live here. When our own problems feel insurmountable, it is beneficial to help others…..and to realize that they are small in the scheme of things. They own the house and the mark. We are trying to find the cheapest way to build a new house instead of the old. We are planning to start as soon the weather is more suitable and we have been able to gather the money.